I was considering the doctrine of Lutheran Unlimited/Universal Atonement, which says Christ died for everyone's sins. However, the fact stands that not all people go to heaven – thus not all people's sins were "Paid" for. the action of declaring or making righteous in the sight of God. Then all people who did not go to heaven, are Not Justified. However, according to Lutheran Unlimited Atonement, all people received Atonement. Yet not all people received Justification – because not all people are given salvation. So I want to ask a Lutheran, How do you define Atonement? Articles 3 and 4 of the Augsburg Confession (part of the Lutheran Confessions) talk about this: The Augsburg Confession (Chief Articles of Faith: Article III: Of the Son of God and Article IV: Of Justification). Article 3 makes the point that Christ "truly suffered, was crucified, dead, and buried, that He might reconcile the Father unto us, and be a sacrifice, not only for original guilt, but also for all actual sins of men." This is the Atonement; Christ died for our sins (in a similar way, the book of Hebrews also talks about Christ as both the High Priest and the sacrifice, particularly Hebrews 9:11 and following). Article 4 then talks about justification: "... men cannot be justified before God by their own strength, merits, or works, but are freely justified for Christ's sake, through faith, when they believe that they are received into favor, and that their sins are forgiven for Christ's sake, who, by His death, has made satisfaction for our sins. This faith God imputes for righteousness in His sight. Rom. 3 and 4." So, we are justified before God when we believe that Christ's sacrifice (the atonement) is for us. That is, we receive the benefits of the atonement, simply by believing that these benefits are for us. Another way I've heard it put is that it takes one to forgive, but two to reconcile. God forgives us freely due to the sacrifice of Christ (the atonement). But, for us to be reconciled to Him (another way of thinking of justification), we must believe that this forgiveness is ours (i.e. have faith). The reconciliation which Christ effected through His vicarious suffering and death is fittingly called objective reconciliation. The objective reconciliation which Christ effected through His death was publicly proclaimed and offered to the world by God through Christ's glorious resurrection; for this is the actual absolution, or justification, of the whole world. The individual sinner obtains for himself through faith the forgiveness which Christ has secured for all men by His suffering and death. Saving, or justifying, faith, may therefore be defined as a penitent sinner's personal trust in the reconciliation effected for the entire world. Saving faith does not justify inasmuch as in itself it reconciles God, but inasmuch as it seizes and obtains the reconciliation which already exists and is freely offered in the Gospel to all sinner. So the individual is only justified once he appropriates reconciliation (the result of the atonement) to himself through faith. Not the answer you're looking for? 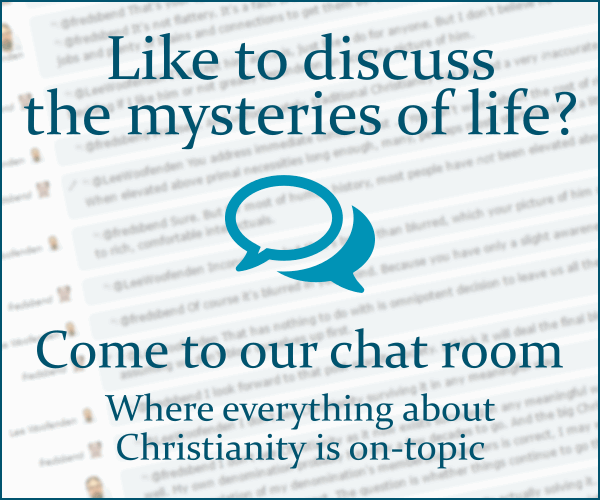 Browse other questions tagged soteriology lutheranism atonement justification or ask your own question. How do Arminians understand the doctrine of Unlimited Atonement in a way that does not make God unjust?